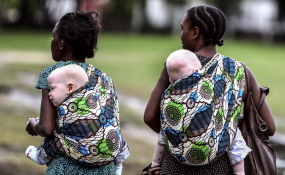 The Association of People with Albinism in Malawi (Apam) has pulled out of presidential task force on people with albinism membership after Homeland Security minister Nicholas Dausi said the resurgent attackshas not yet reached crisis levels. Dausi said the attacks on people with albinism has not reached crisis levels to call for vigil at State House to force authorities to look into their security demands or people with albinism to seek asylum in foreign countries. He said what complicates the matter is that some of the victims are betrayed by their own families or relations. The Homeland Security minister said this in the presence of Information minister Henry Mussa and the chairperson of presidential task force on people with albinism Hetherwick Ntaba at a news conference. But Apam president Overtone Kondowe has described the remarks by Dausi as childish and insensitive. "This is a careless public statement," said Kondowe. "There is no security of people with albinism in the country. The statement is a clear indication that the government is not serious in protecting people with albinism," he added. Public Affairs Committee and Human Rights Defenders Coalition have condemned the statement by Dausi. In a separate interview, Dausi said the decision by Apam has been done on haste. "They should rescind their decision to pull out their membership from the presidential task force. We are open to discussion. Let contact and dialogue take centre stage," Dausi said. The people with albinism are set to hold vigil at Kamuzu palace from March 3 for three days. Kondowe said the association is tired of government's insignificant efforts in fighting attacks on people with albinism, adding it is high time government addressed their security concerns.